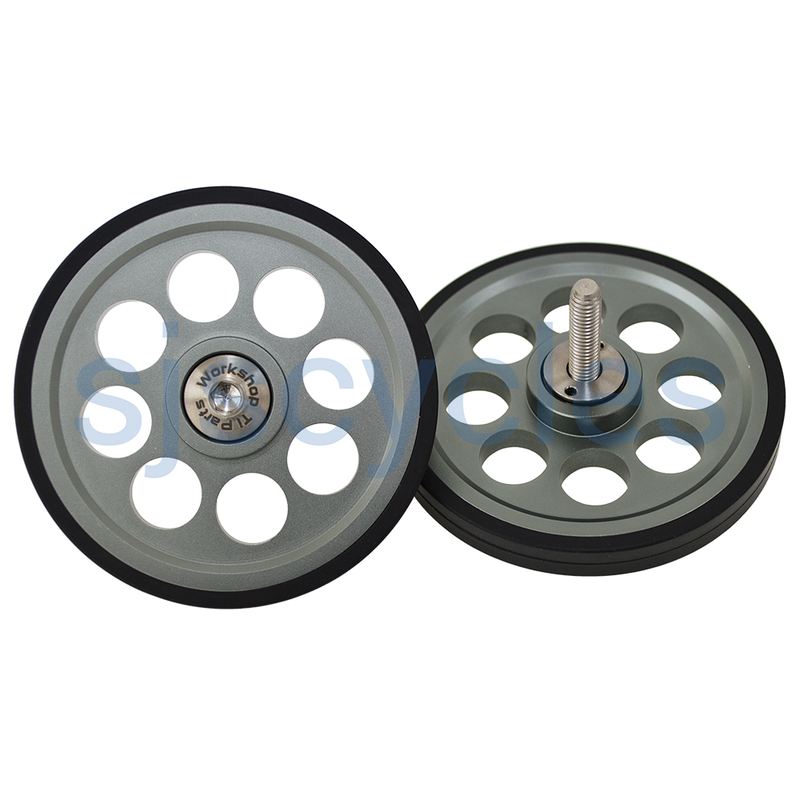 Set consists of 2 x 6061 Aluminium Easy Wheels and 2 x 6AL4V Titanium Bolts and 4 x Bearings. For fitting to rear rack. Fits pre-2016 racks that utilise M5 bolt fitting. Hi, thank you for reply! In that case, can the bolts swap to suit? I really like the color and size and shape of this wheels and want to make order! Unfortunately we are not able to swap the bolts etc. Hi, thanks for reply. But, can you tell me more why is this wheels can't use on frame? Didn't it have the same m5 bolt? Or because of length of bolt? Which wheel with circular holes will fit frame then? The Pre 2016 racks used a 5mm thread, and the length is longer for the rack over the frame. Can I use these on my 2010 M3L-X? Can I use them on the rear frame? I don't have a rack. Unfortunately these are only for rack fitting and will not fit on the rear triangle. This product specifies that these are designed for an R-Type (Rack Fitted) Brompton but as the rack fitting uses these 6mm threaded screws, I was wondering if these could also be used as the main wheels on a 2018 Brompton (E-type model - no mudguards or rack)? I like this colour item but cannot see an equivalent in your listings for my specific bike model? Having no mudguards makes no difference to the choice.